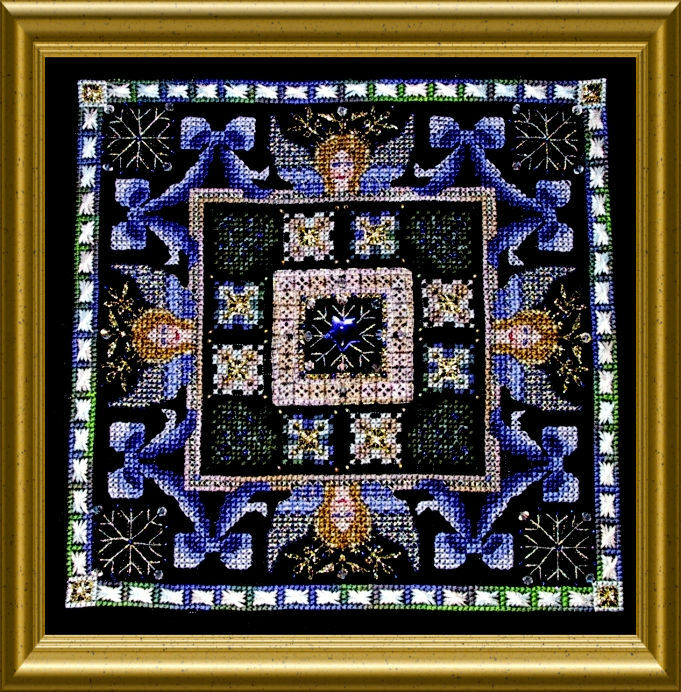 A seasonal small Mandala – Christmas themed, Angels, crystals and a lot of “Bling”…. a few Special Stitches to show off the variegated silks used – some effect threads too…. 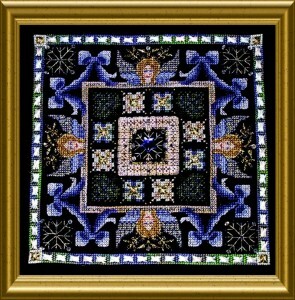 a enjoyable smaller embroidery which can still be finished before the Holidays !